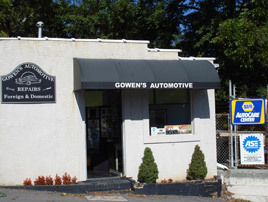 We are a Napa Auto Care Service Center, offering the highest quality aftermarket parts. We can also offer factory components to meet your needs. We offer Dealer Scan Tool Equipment for diagnostic services. These are the same Diagnostic Scan Tools used in the dealerships, but at a lower price. Many independent shops and auto parts stores scan tools only bring up codes, but the difference is that our Dealer Scan Tools diagnose the problem with your vehicle quicker and more efficient, saving you money and time.